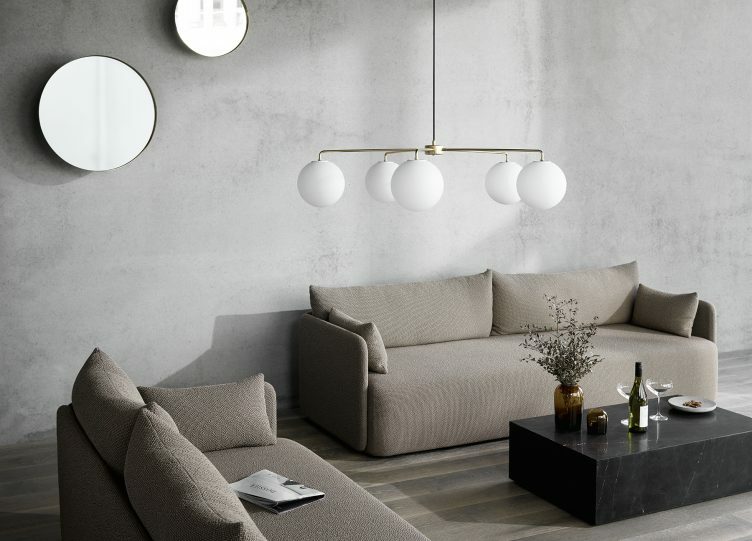 A contemporary sofa, understated yet statement-making, Offset is the result of research into ‘balance’ by Norm Architects. The studio wanted to create a sofa as simply as possible while embracing a set of paradoxes: making it substantial yet delicate in appearance, architectural yet inviting and homey. In the studio, the designers experimented with offsetting – playing with proportions, narrow armrests versus a thick generous seat, supported by four stubby metal legs. 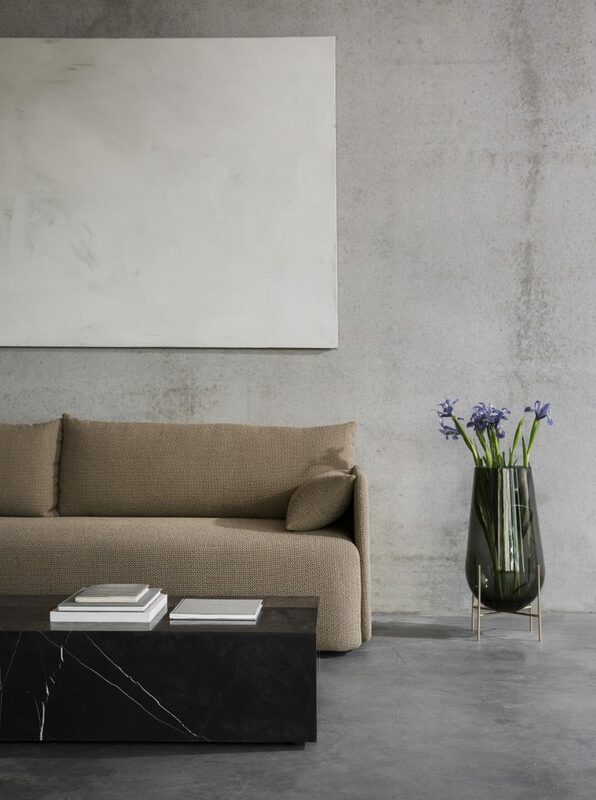 The clean-lined boxy shape is inspired by minimalist art, gently softened for a welcoming expression and maximised for comfort. Norm Architects was founded in 2008 by Kasper Rønn and Jonas Bjerre-Poulsen, later joined by Linda Korndal. Based in the heart of Copenhagen, the award-winning studio works in the fields of industrial design, residential architecture, commercial interiors, photography and art direction. 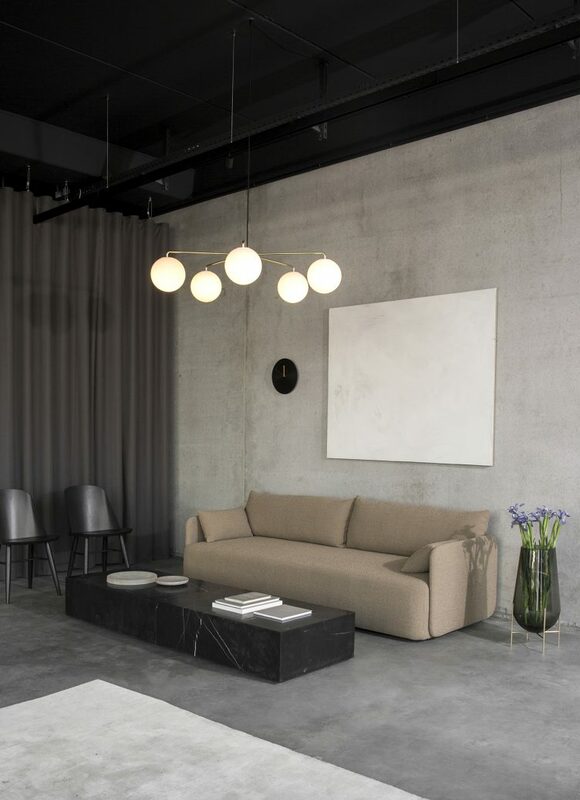 Located on one of the city’s oldest streets, the practice takes pride in respecting its context, building on the traditions of Scandinavian design, of timeless aesthetics and natural materials.